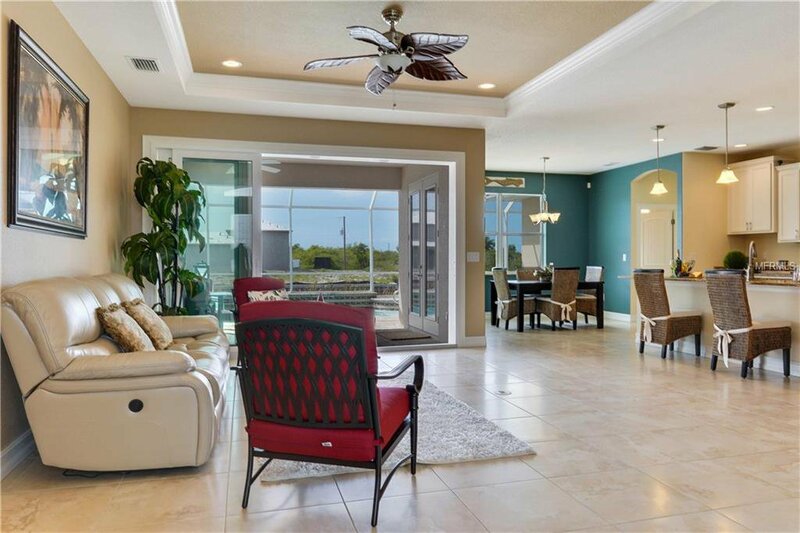 Upscale living will be enjoyed when you are fortunate enough to call this waterfront house your home. 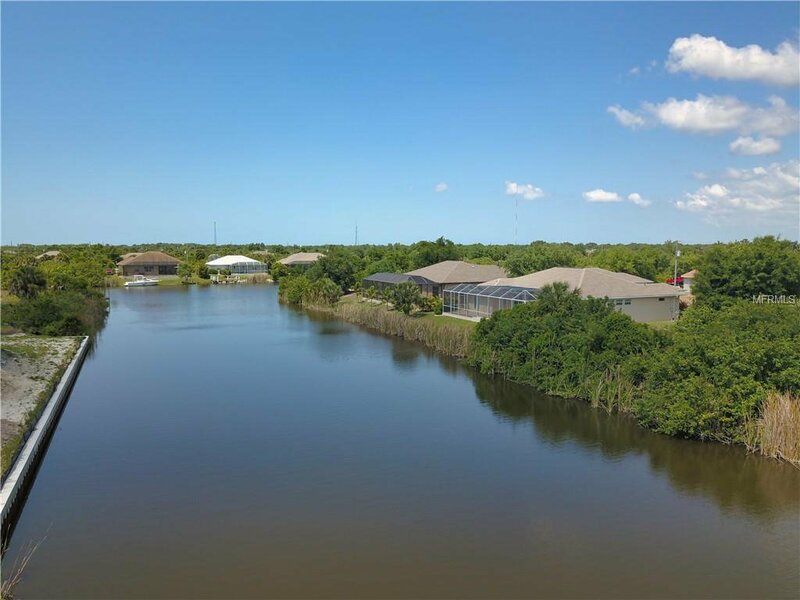 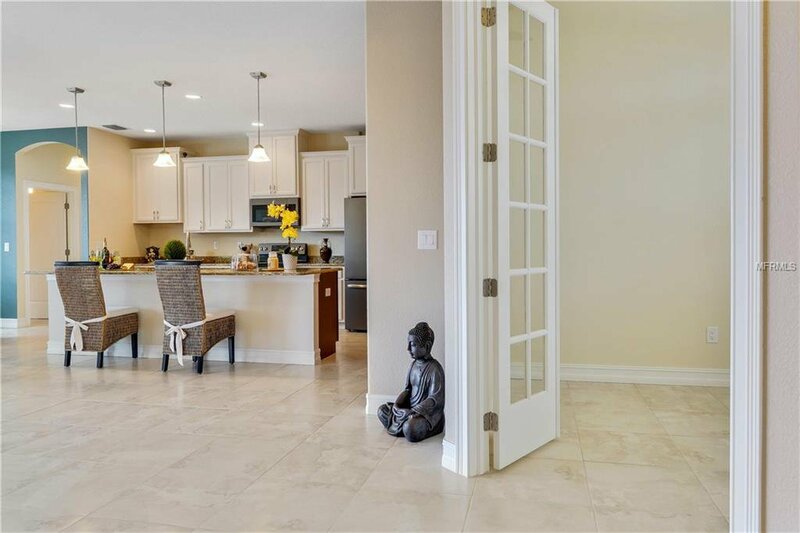 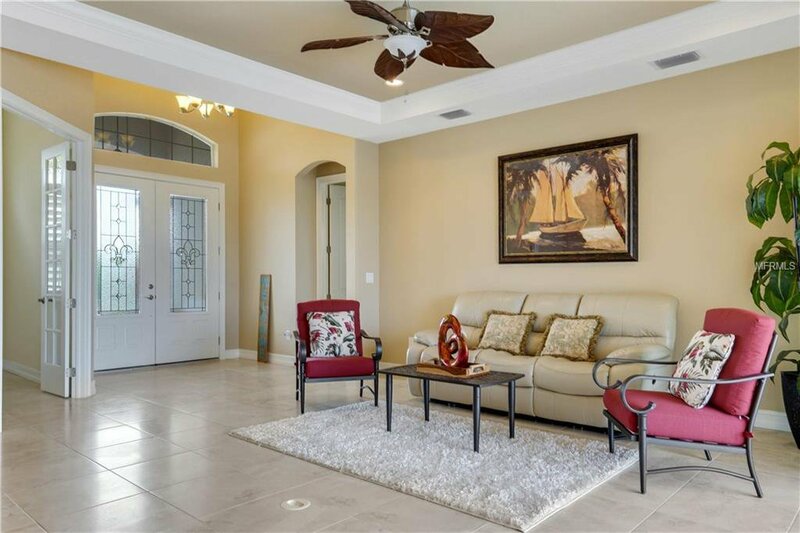 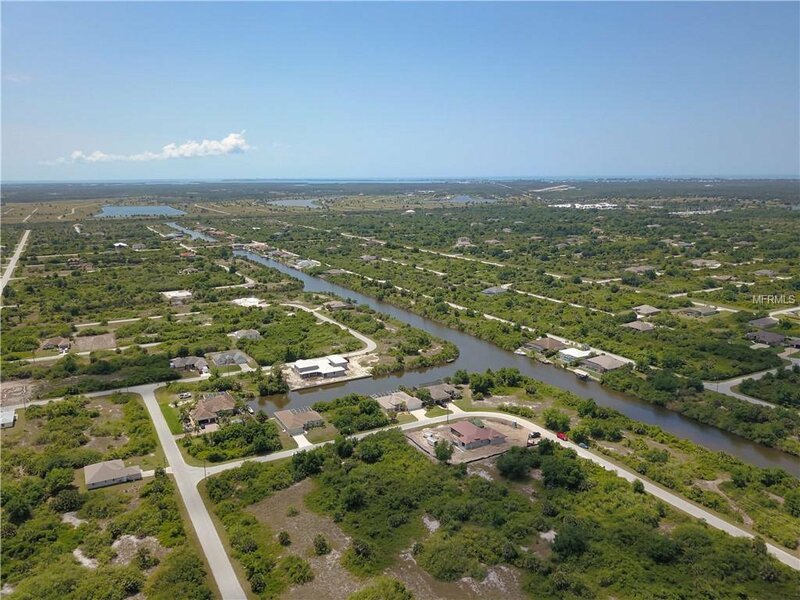 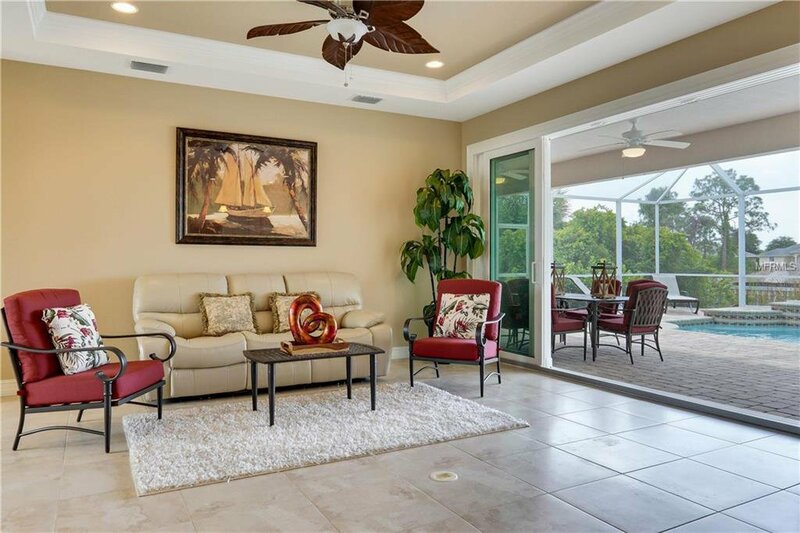 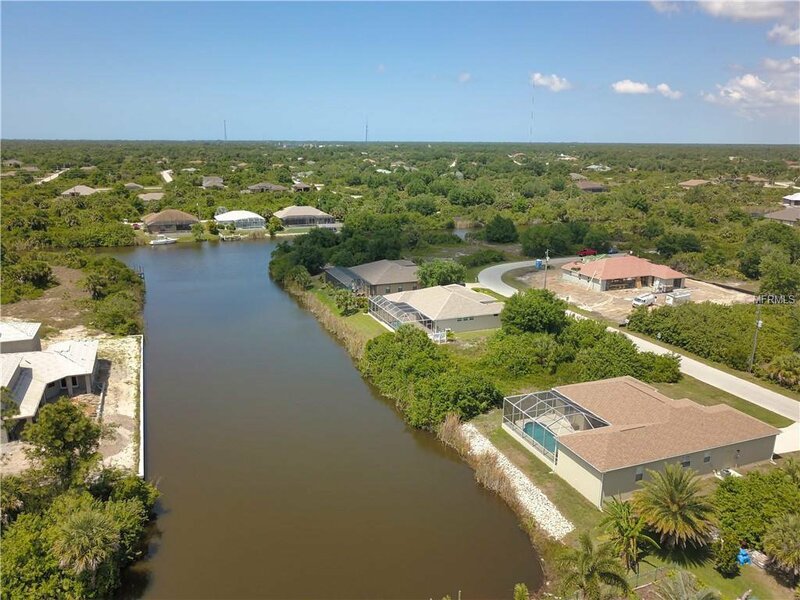 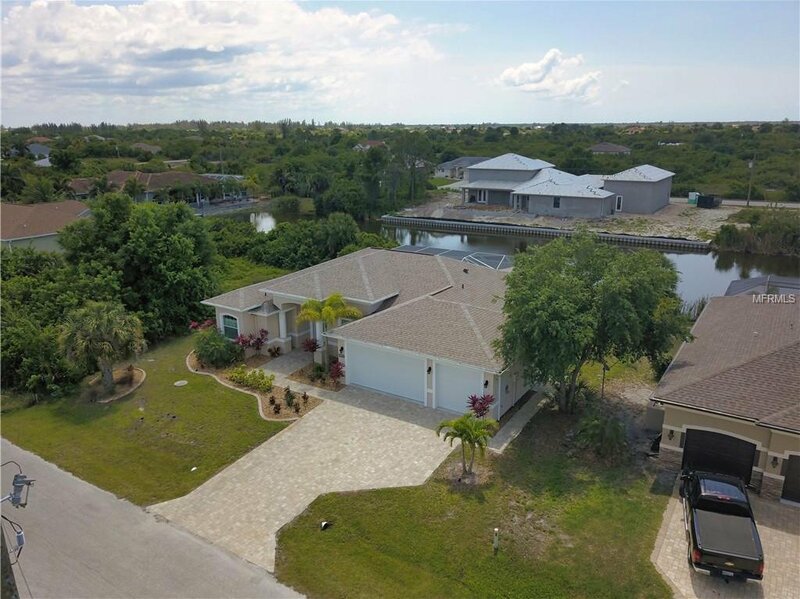 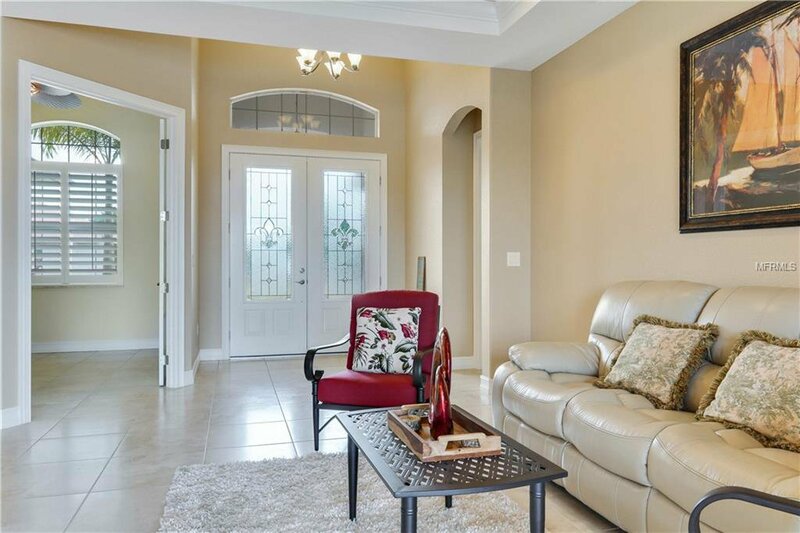 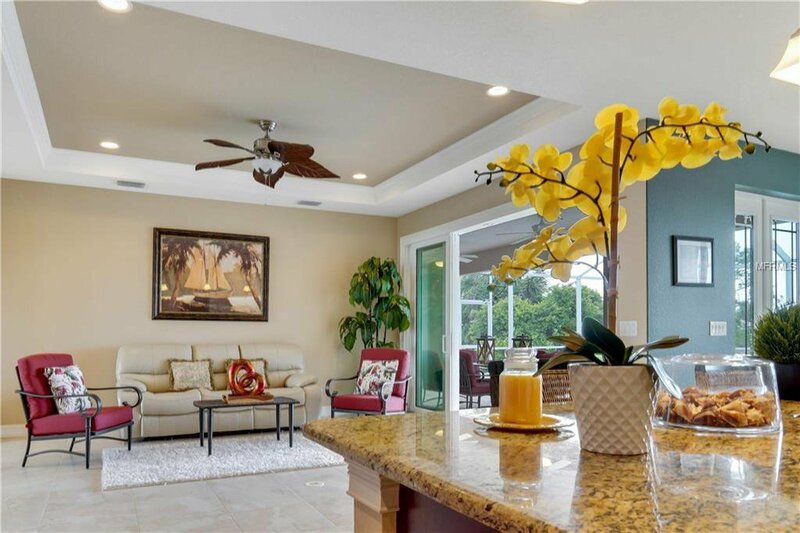 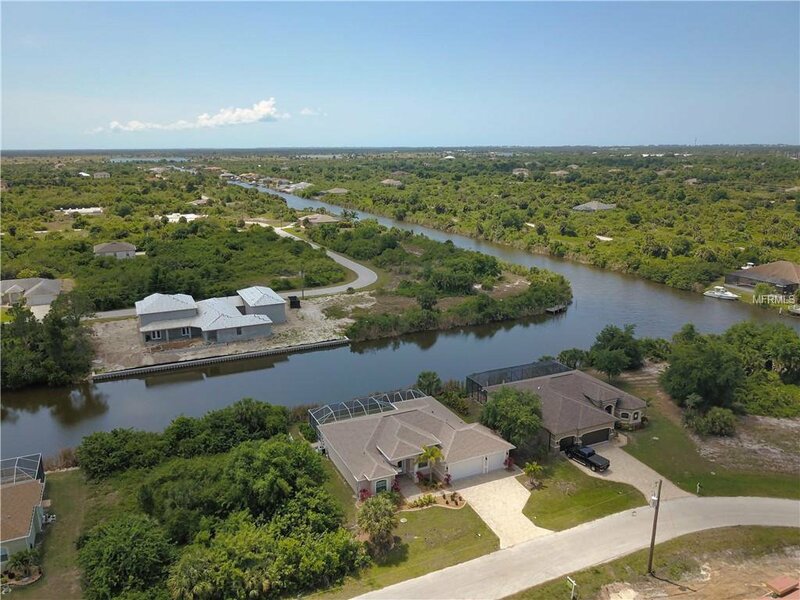 This 3 bedroom plus den layout was a former model for Paradise Builders & provides spacious rooms for family, wonderful natural lighting, scenic canal views, & a wonderful layout for entertaining. 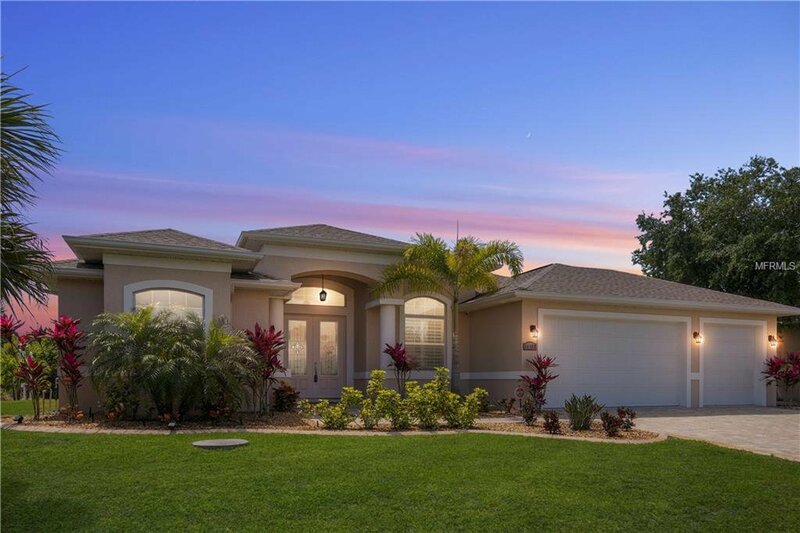 Pavers accentuate the driveway & walkway to the home’s entry where double paneled glass doors welcome you inside. 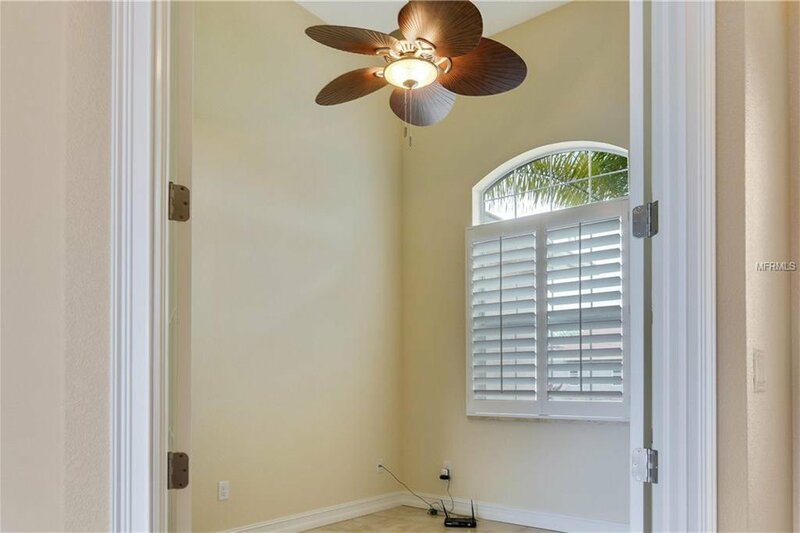 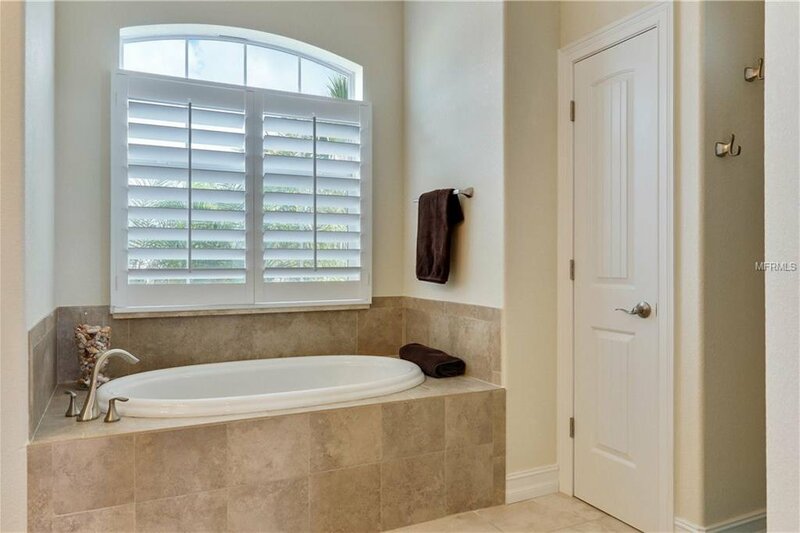 Plantation shutters adorn impact doors & windows allowing you to control the amount of sunlight filtering in. 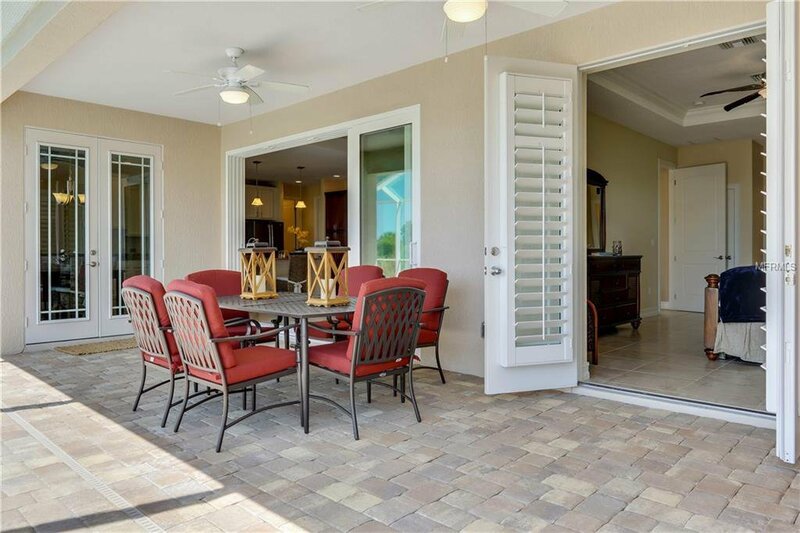 Triple sliders or French doors open from the great room, master BR, spare BR & nook onto the paver lanai & pool surround. 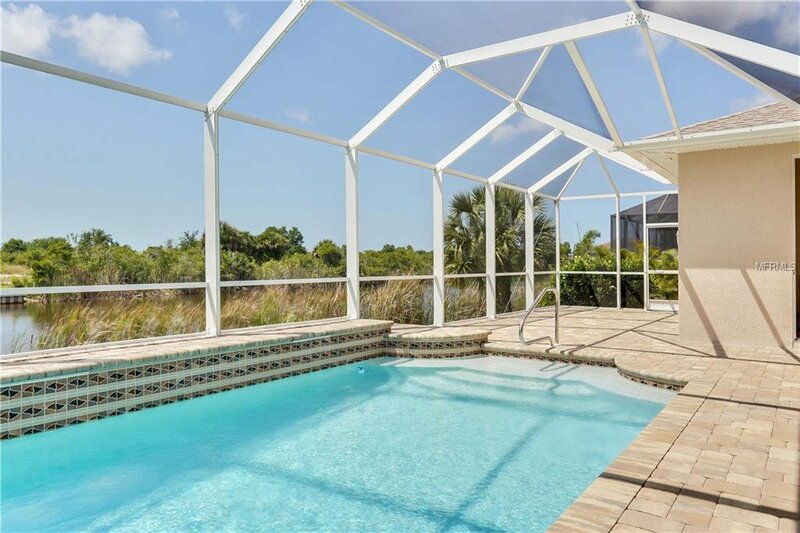 Indoors & outdoors meld into one when sliders are open to the beautiful pool area. 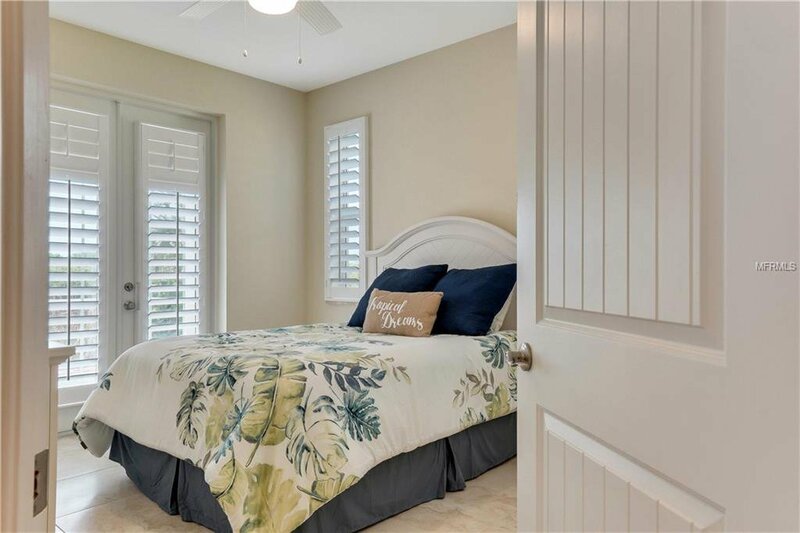 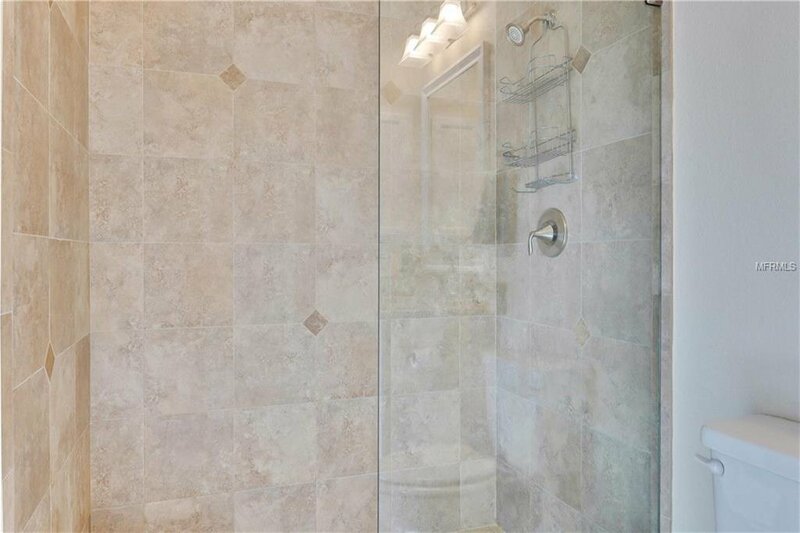 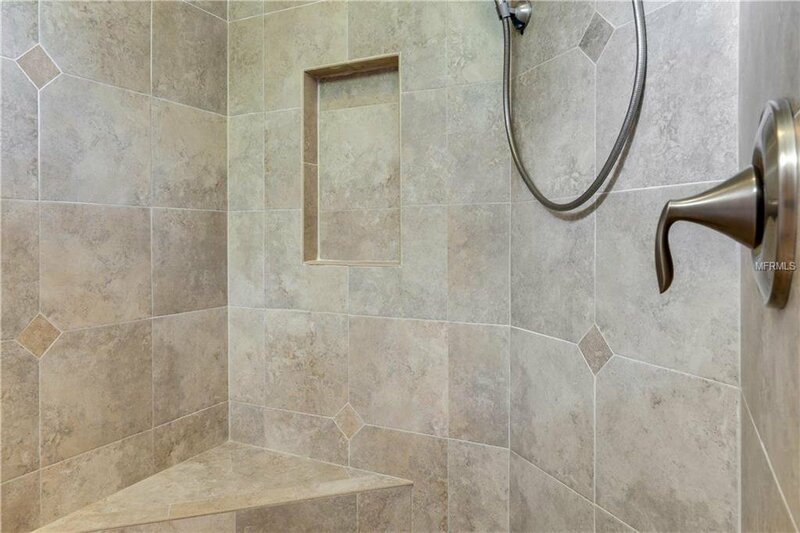 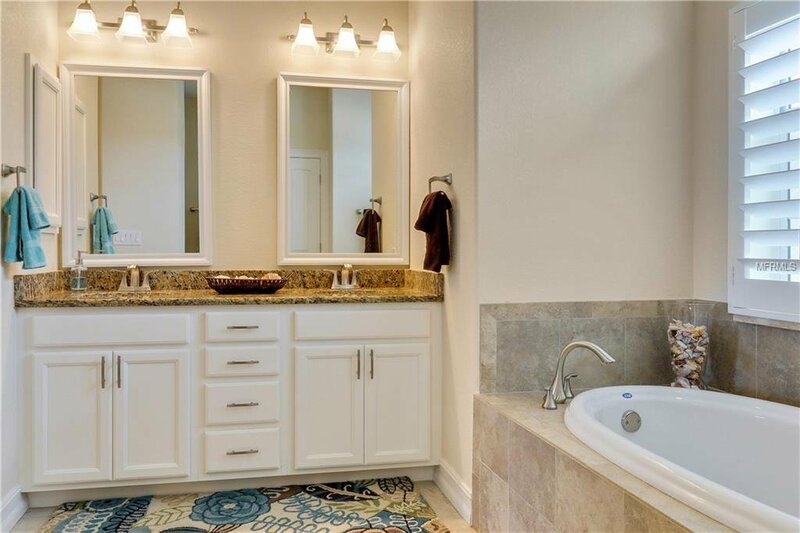 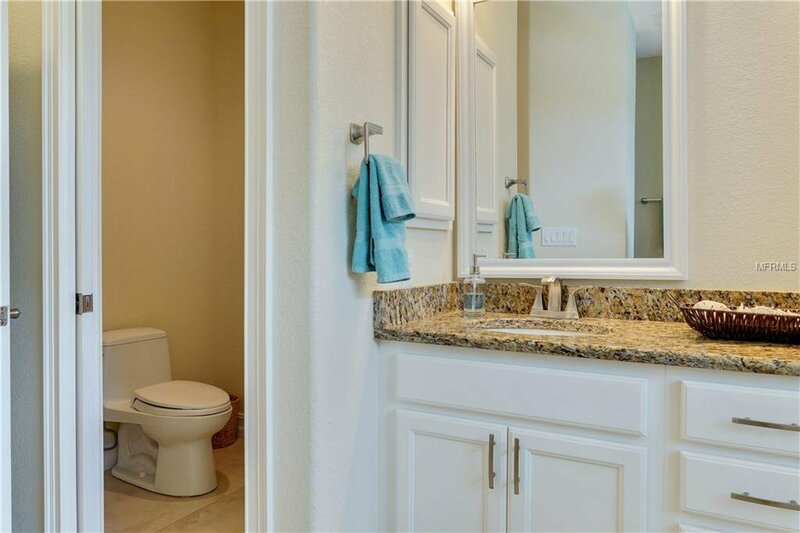 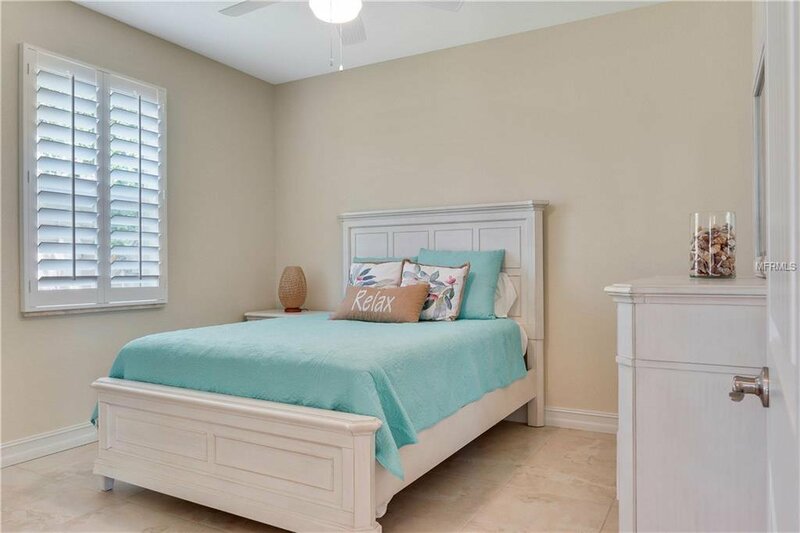 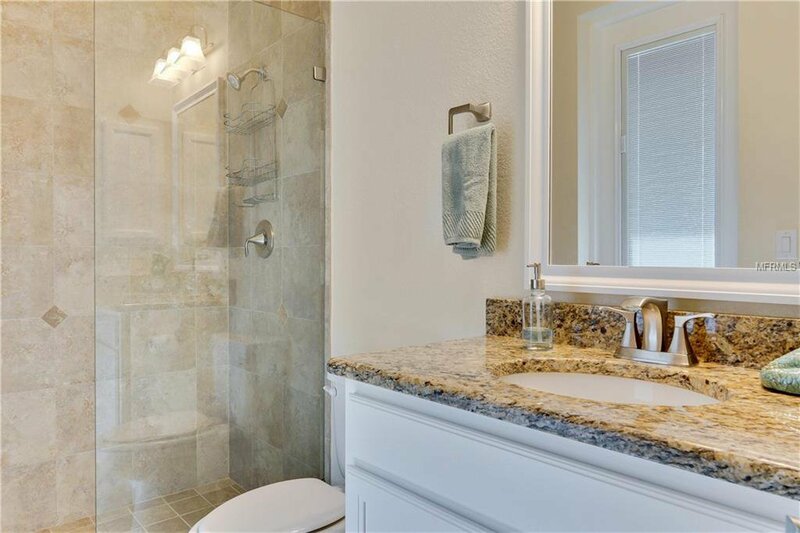 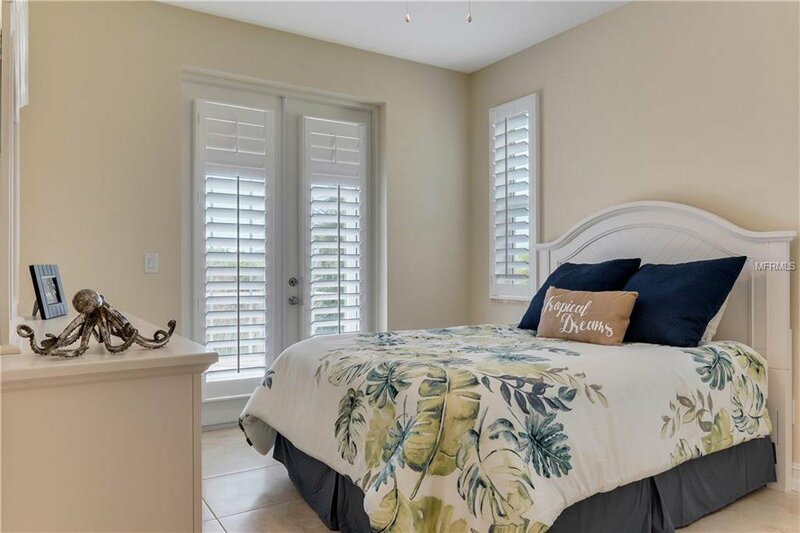 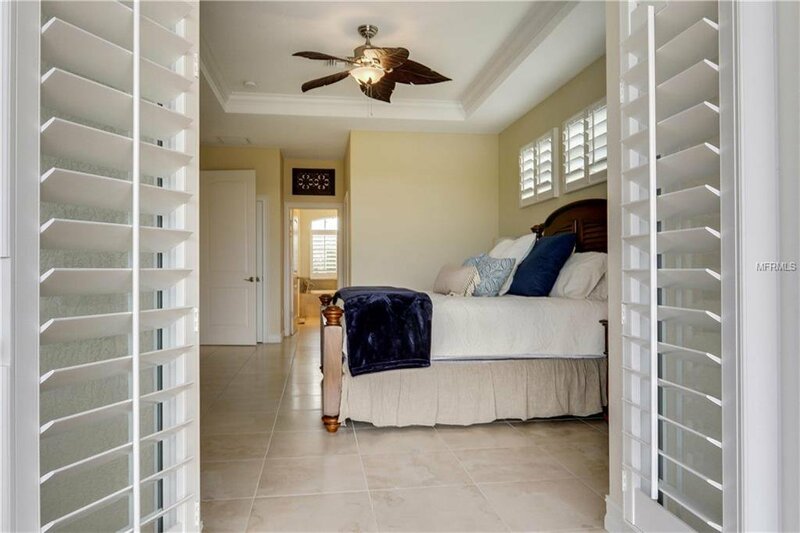 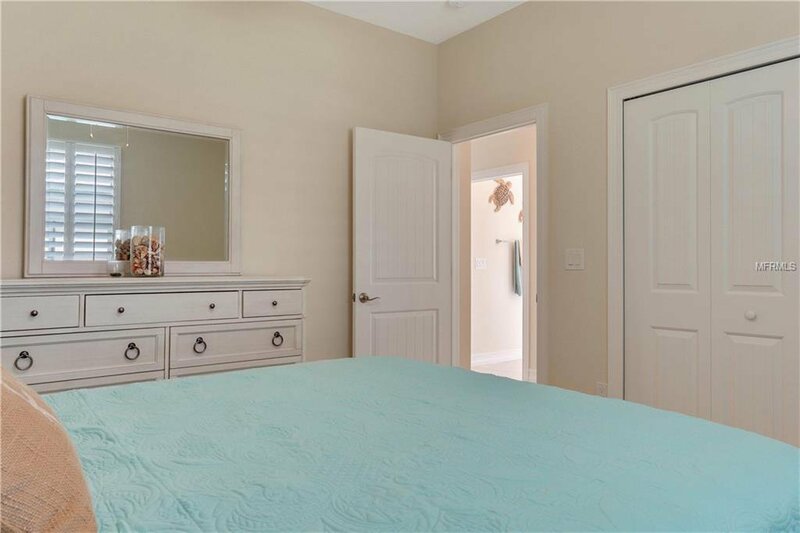 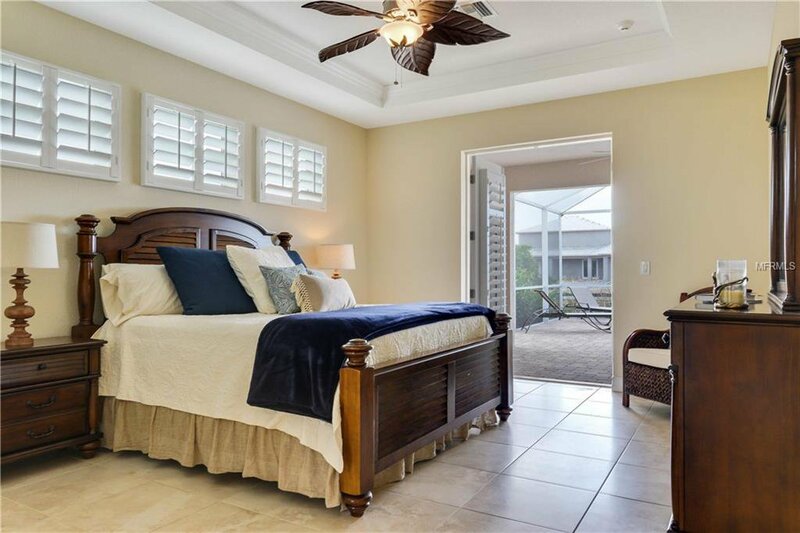 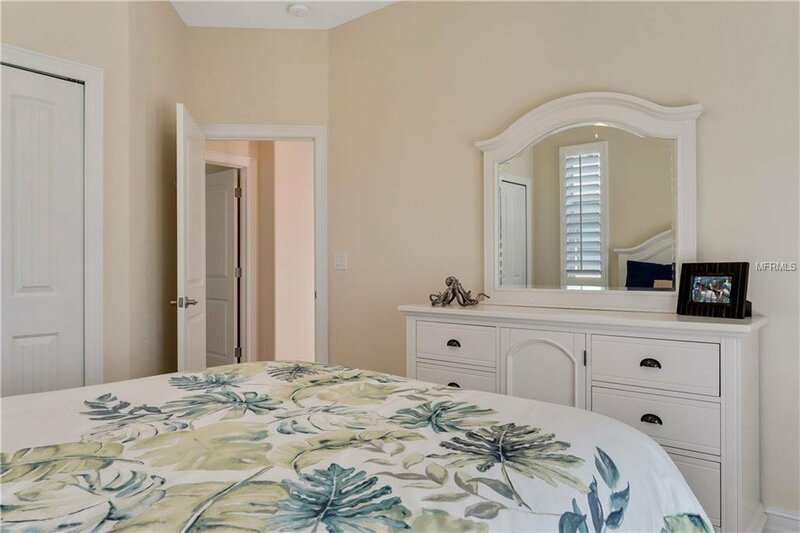 Large master bedroom & ensuite features walk-in closet, dual sinks, tiled Roman shower, soaking tub & granite counter tops. 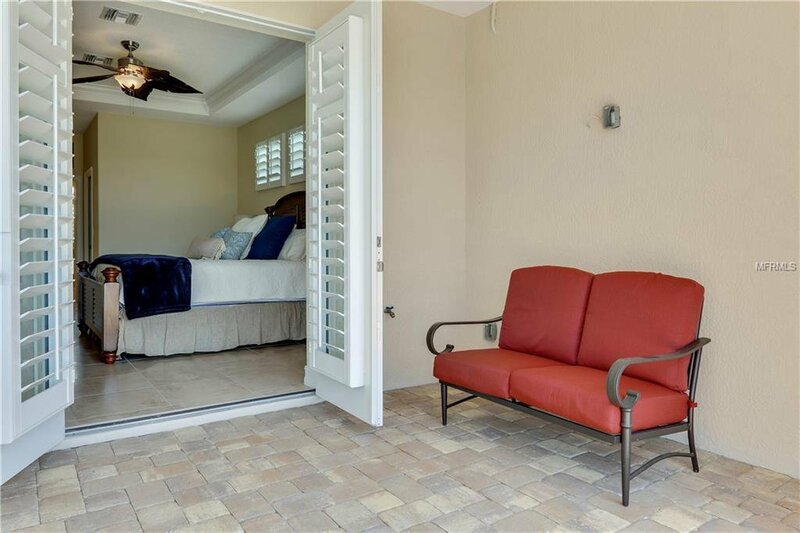 Guest/pool bath can be accessed directly from lanai. 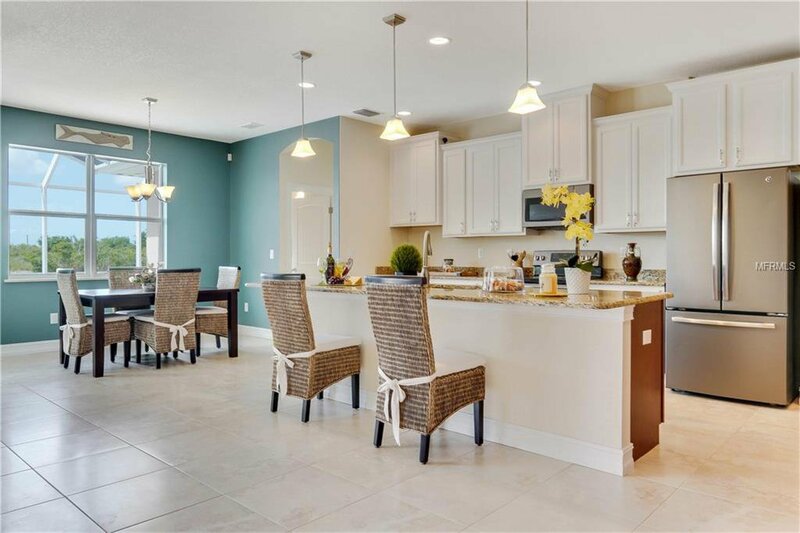 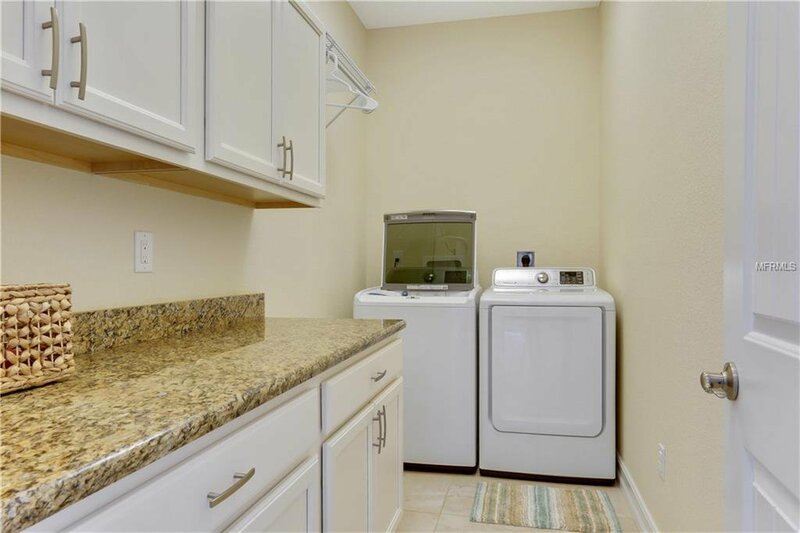 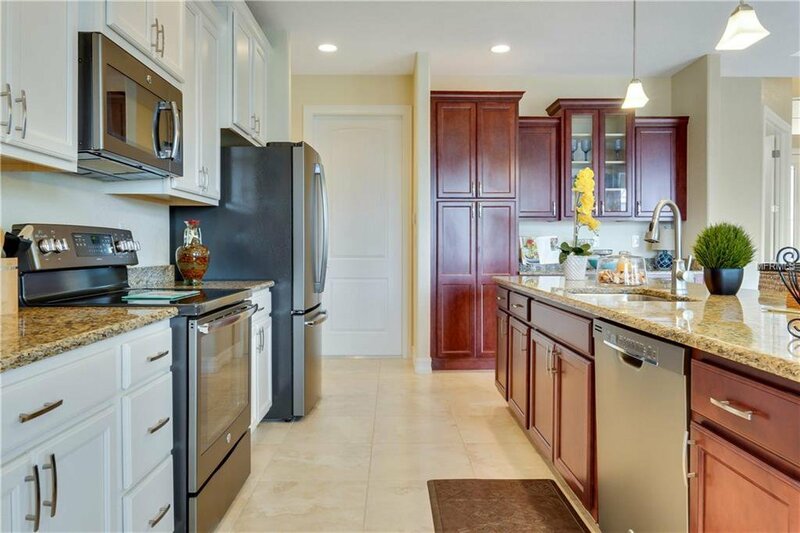 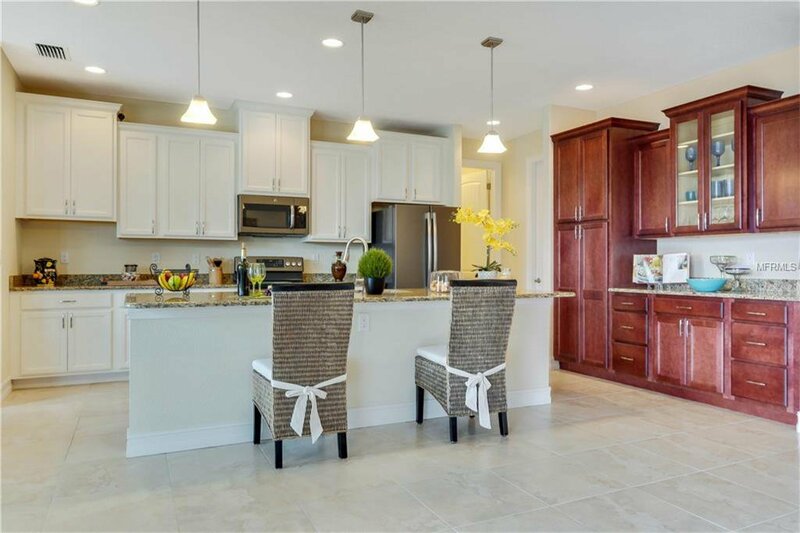 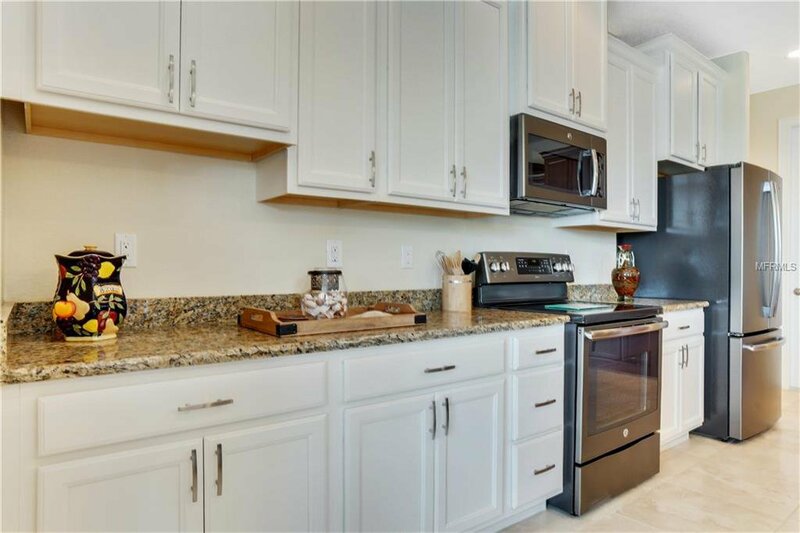 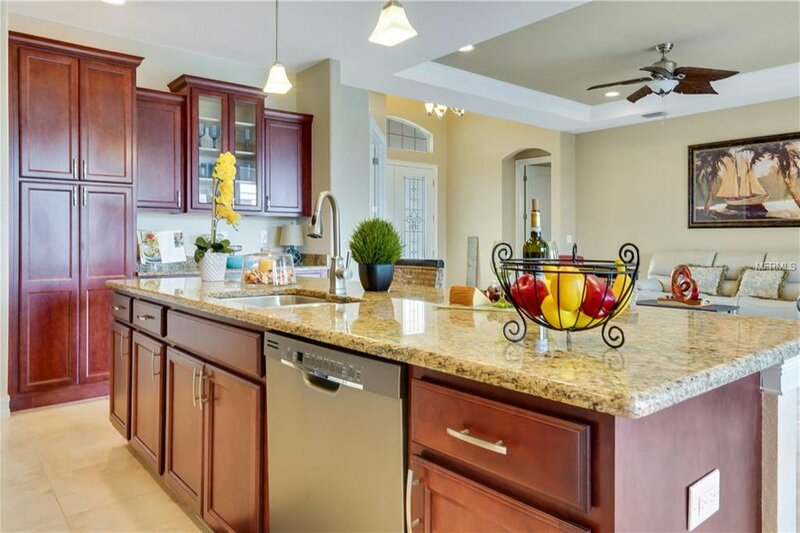 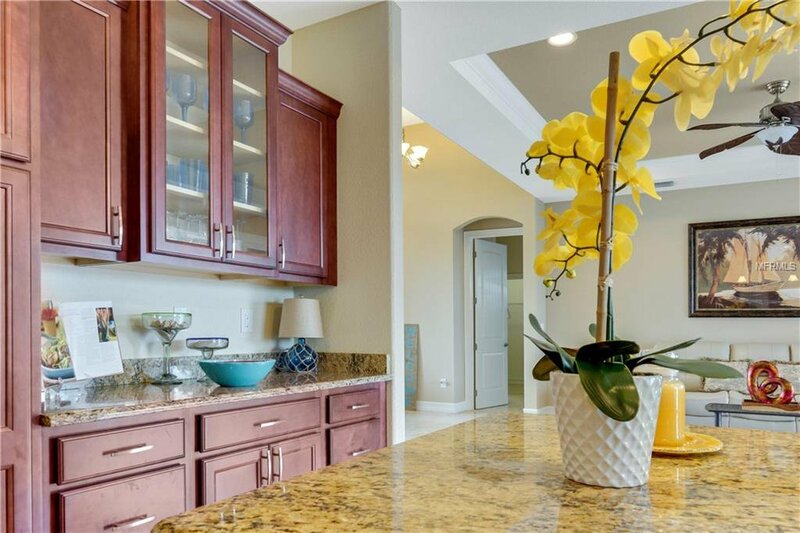 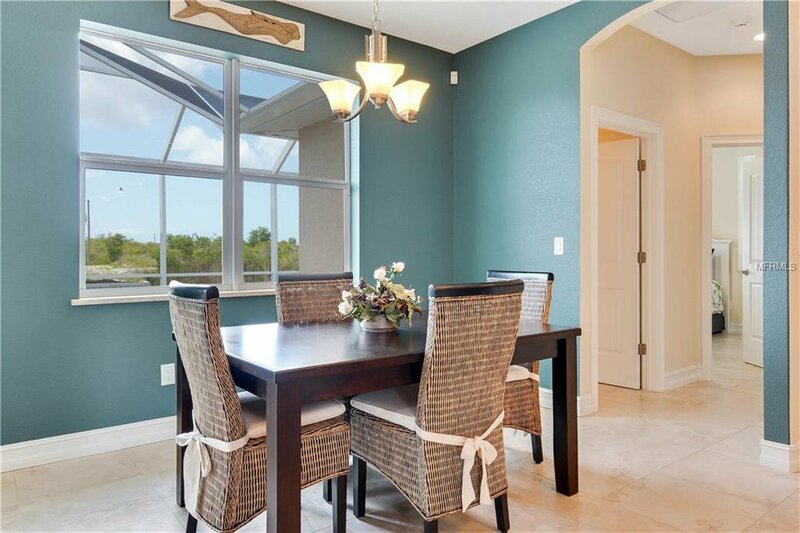 Kitchen showcases SS appliances, wood cabinets w/pantry, 10-foot island w/sink. 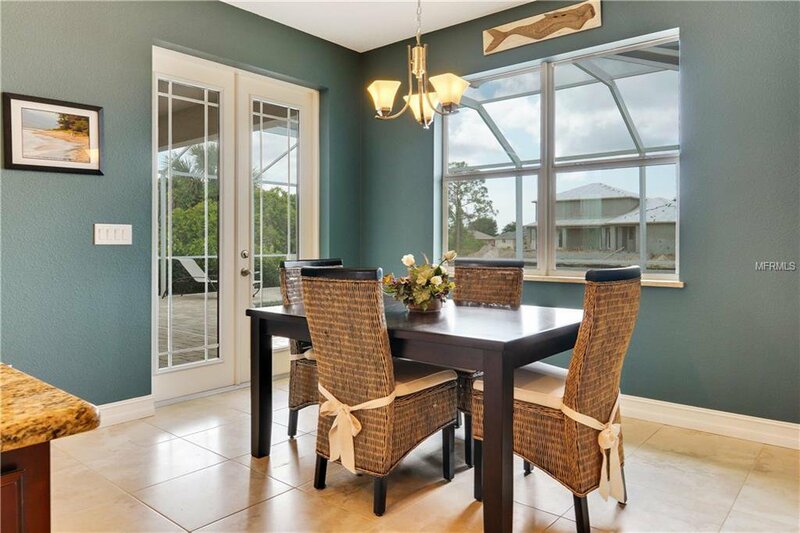 Breakfast nook entwines with kitchen to create a focal area for family gatherings. 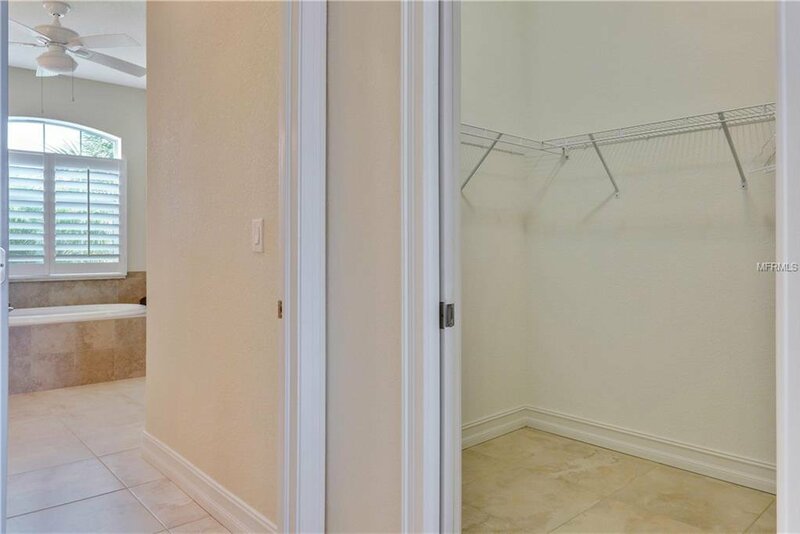 Front room with double door entry has flexible uses depending on your needs—office space, library, toy room, arts & crafts—to name a few. 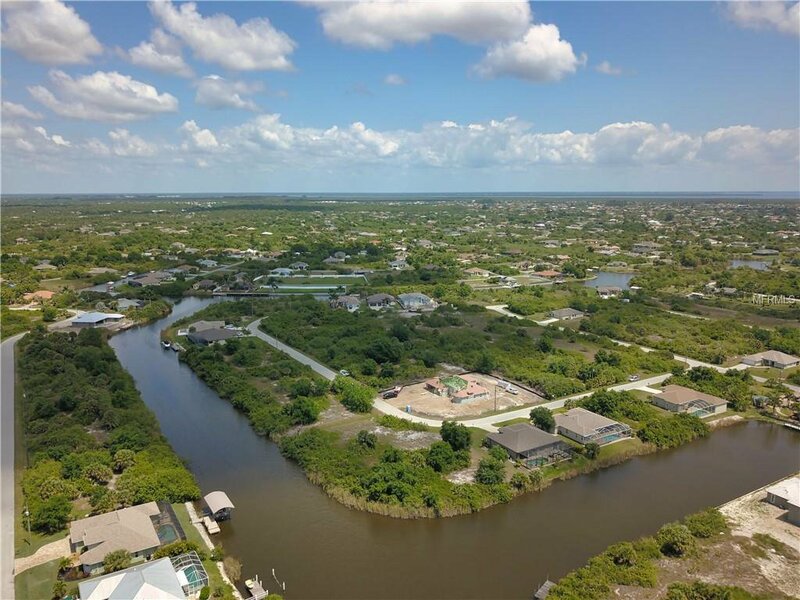 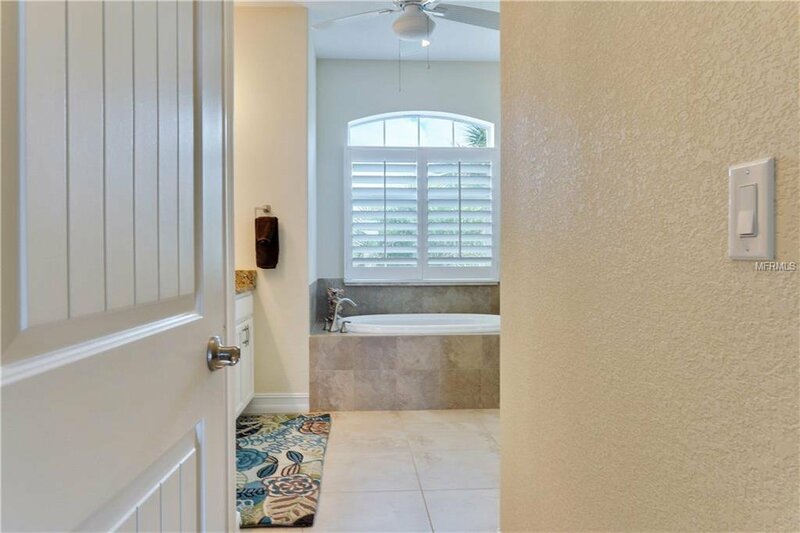 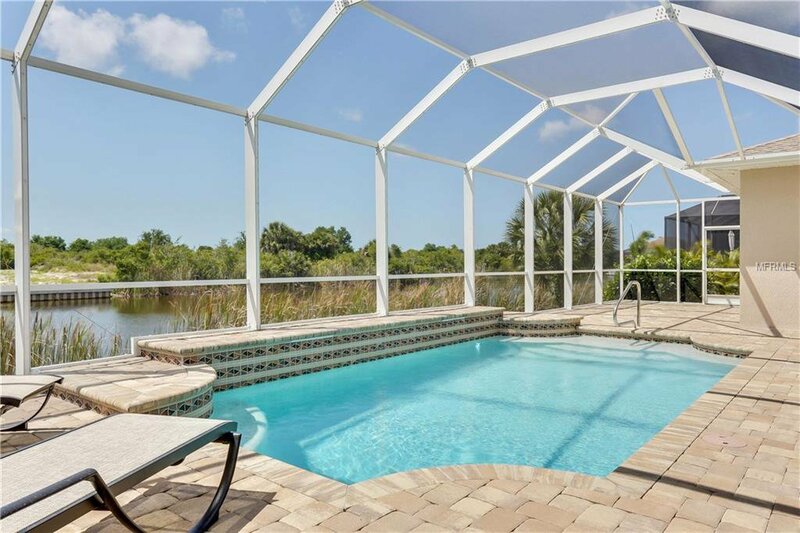 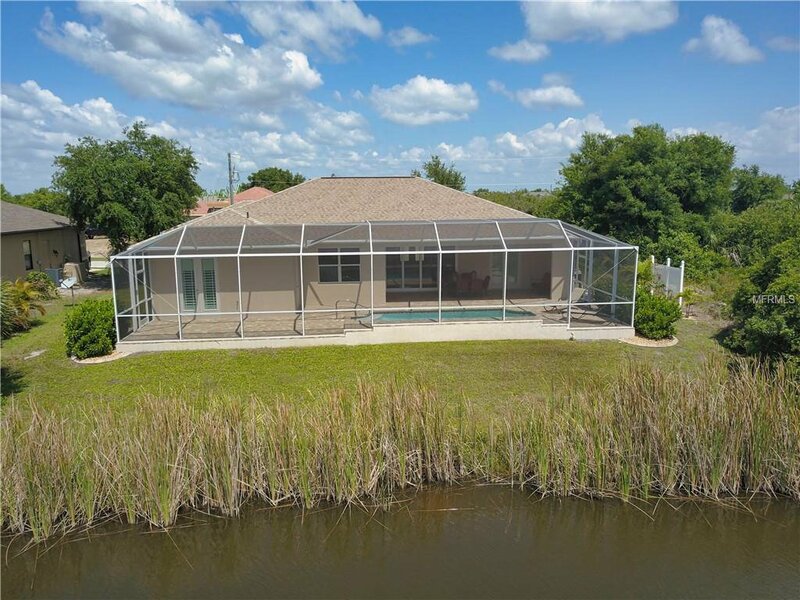 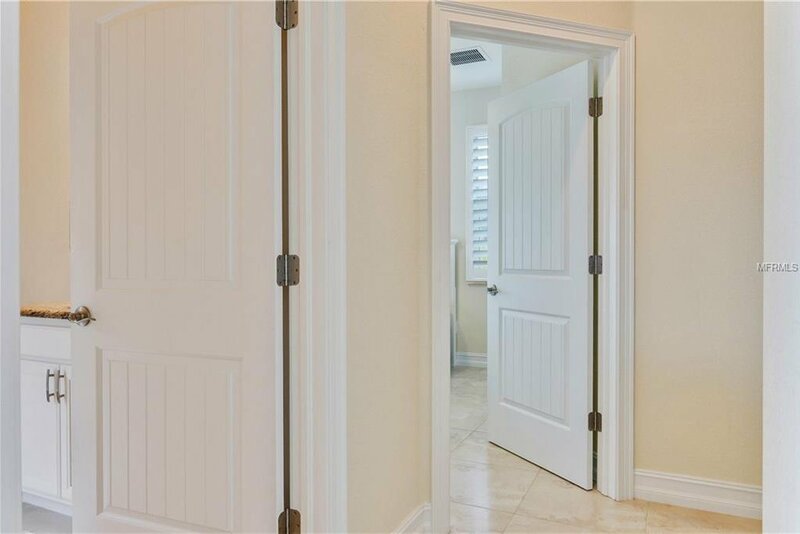 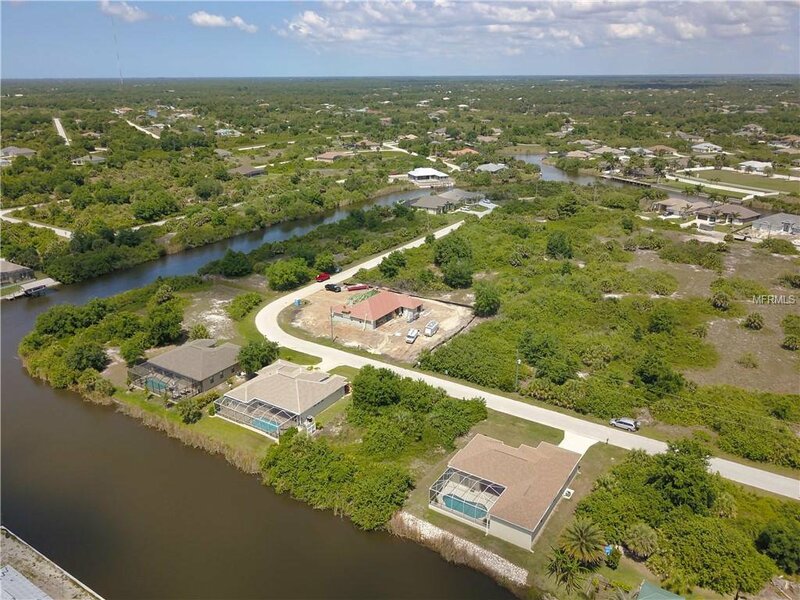 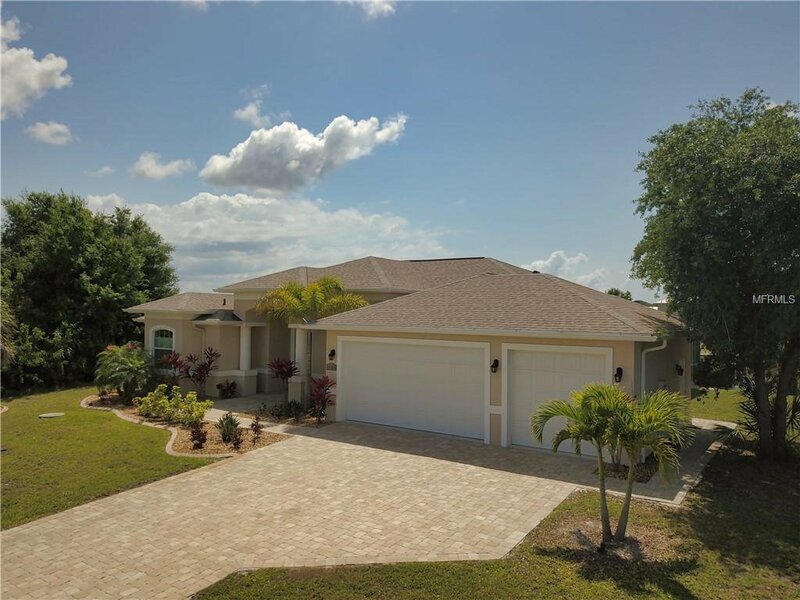 Special features include porcelain tile throughout, irrigation, security system, tray ceilings, laundry room w/cabinets & granite counter, gutters, heated pool & more. 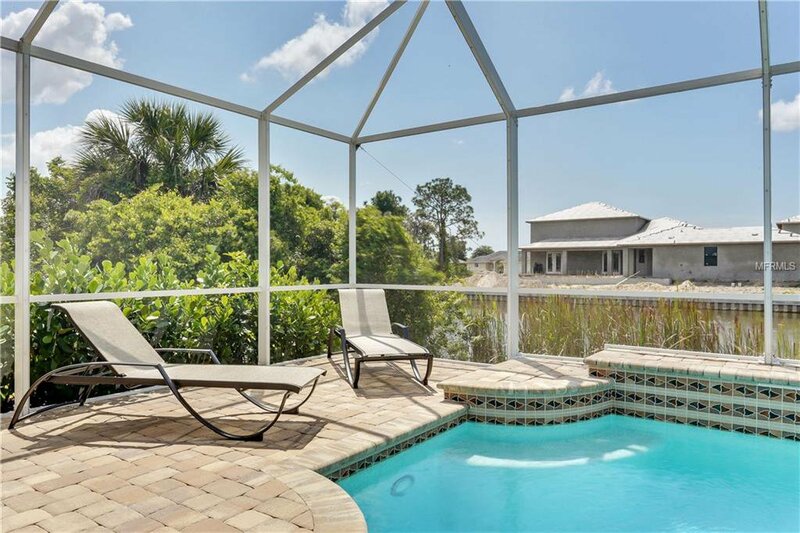 Extended pool deck provides ample room for chaise lounges or seating area. 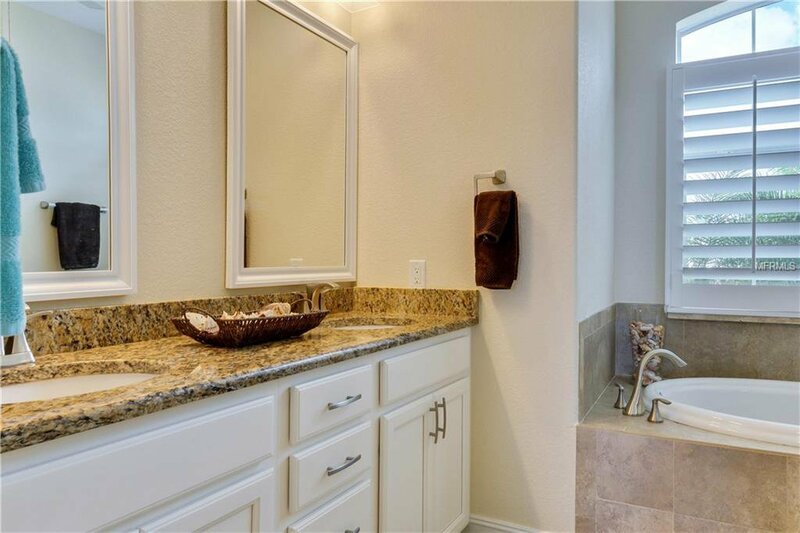 This is surely a home the discriminating buyer will want to view!